Recent release on Steam (and I guess some other platforms), Shadow of Mordor is an interesting take on the LOTR lore. I’ve got about 20 hours in, says I’m near 80% done so I figure it’s time to put my thoughts to words. SoM plays a bit like Assassin’s Creed and the new Batman games. A mix of stealth assassination and darn sweet combat controls, mixed with some sandbox open-ended gameplay. Well, that last part is much more sandbox than I had thought, in that there are only 25 or so “quests” for the core story, a real fraction of your playtime. You need to complete the main story quests mind you, in order to unlock the 2nd zone, Power Struggles (that further unlock skills) and to actually unlock particular skills. I did none of that for the first 2 hours and had a blast. There’s stuff to find, slaves to free, Orcs to interrogate and a slew of side quests. I did all of that until my map was empty (and I ran around a few times to see if I missed a spot) and then I decided to start the main quest. A few of those in, then it unlocked more side quests. Rinse and repeat for 20 hours and there are a small handful left. The quest is so-so and really only peaks if you have any interest in LOTR. The idea is neat but the execution just doesn’t work out so well. It’s just an excuse really to move the mechanics along, which seems like a wasted effort. There’s always a compromise when it comes to sandboxes and actual levels. The power curve is really quite hard to balance. I’ll use Skyrim as an example. Some parts are death at low levels with bad gear. Go back after you have triple fireballs and things turn to cake. SoM has this issue in the first zone and in the second as well until you unlock the Brand skill. It is very easy to be overwhelmed and die until you get that. I died a solid 50 times, trying various strategies out. Once you get Brand though… the game just takes a massive challenge dump. Brand is an ability that converts an Orc to fight for you. You can use it in combat (after a small combo) or stealth attack someone with it. If you Brand all the archers in a given area, then activate them, it’s a shooting gallery. Like 5-1 odds gallery. But hey, you only really unlock that at the tail end of the core story, so it’s not too big a deal. The controls are decent enough, and responsive. Combat is super fluid, even more so as you unlock more skills (particularly the dodge/stun combo). It’s very fun to jump from one enemy to the next, using decent timing to get the perfect strikes in. It’s a solid jump up from Batman. The assassinations are also well done, and the quests to get there aren’t “follow this guy in the bushes for 45 minutes, fail and restart”. So that’s sweet. You have a melee weapon (sword), a ranged one (bow) and a stealth one (dagger). They each have strengths and can be comboed with each other in combat strings. You can unlock rune slots for each, which is sort of like a perk for the item. Say, 50% chance to heal when you have a critical strike. There are different tiers of perks too, and if you Brand then threaten a boss orc, you get a better chance at a rune. But they also get more powerful and get a posse. And now we get to the Nemesis system. There are normal orcs, up to 15 captain orcs and then 5 warchiefs per zone (2 zones). Each orc has strengths and weaknesses. Some are immune to melee, or get stronger if there’s fire, or fear these direbeasts. You don’t know any of this unless you interrogate orcs too, so if you catch one cold, you can be trying for a while to figure out how to attack them. If you kill a captain or a warchief, another orc can take their place. Orcs can kill you and get promoted and get more powerful. Orcs can kill each other, or recruit other orcs to increase power. And it’s all dynamic, so you’re never seeing the same orcs again. Well that’s not true. Say an orc kills you, they will remember it and taunt you next time they meet you. And sometimes an orc you think you killed just comes back with scars. And that’s where the real open-ended gameplay comes from. See, if you Brand all the captains, you can then Brand the warchiefs. Then you get a few of them close together and use another skill to kill all Branded enemies. BOOM, rain of runes. Then speed up time a bit and more Orcs come back. I am impressed. The Nemesis system is where the real meat of the game is and it’s truly innovative. Smooth controls are the other part of the foundation and combined provide a really enjoyable experience. I’m kind of thinking that this is the new model for open world gameplay with combat mechanics. It’s really well executed (pun intended) and worth your dollars. 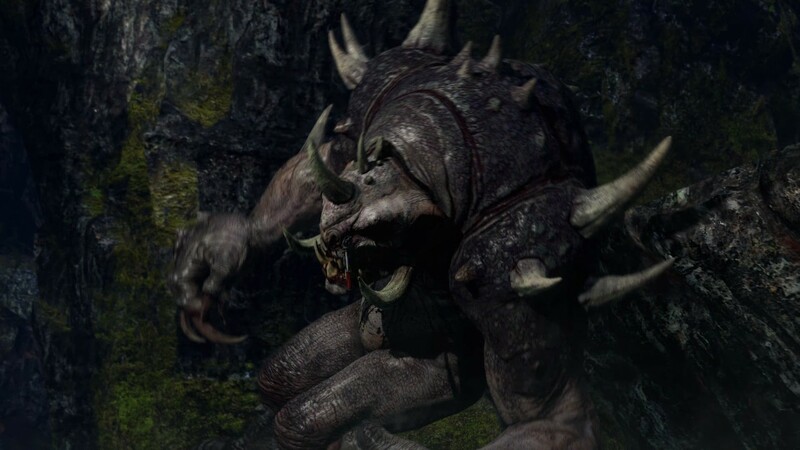 This entry was posted in Games and tagged shadow of mordor. Bookmark the permalink.